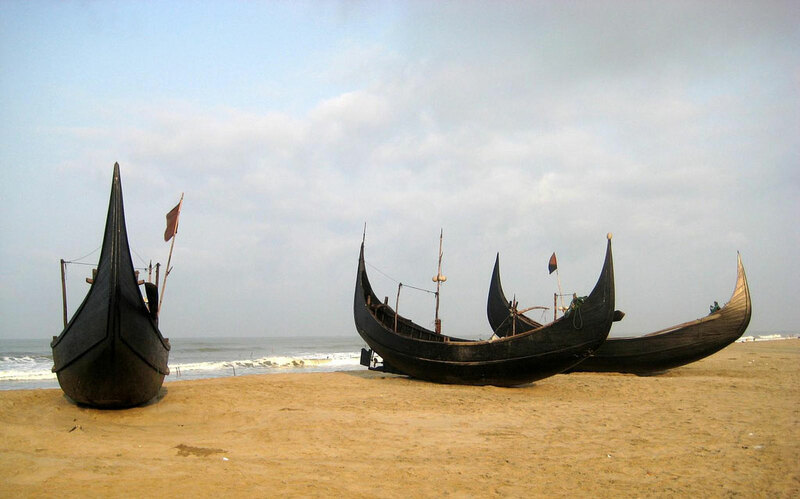 Cox's Bazar is one of the most attractive tourist spots and the longest sea beach in the world (approx. 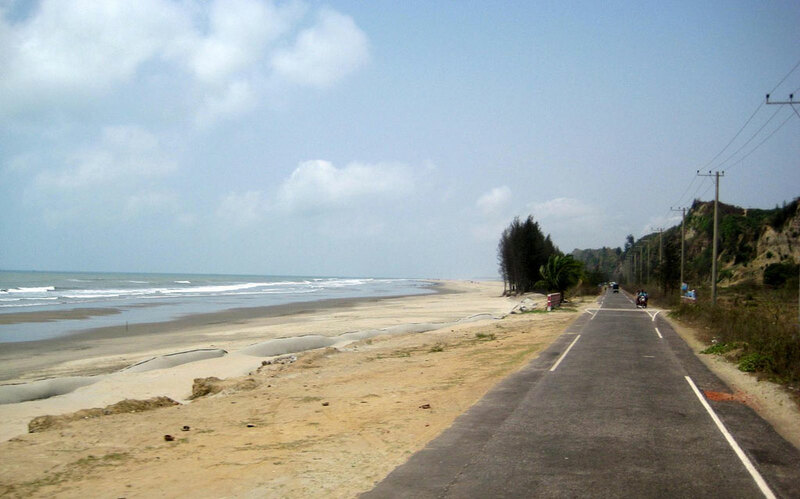 120 km long). 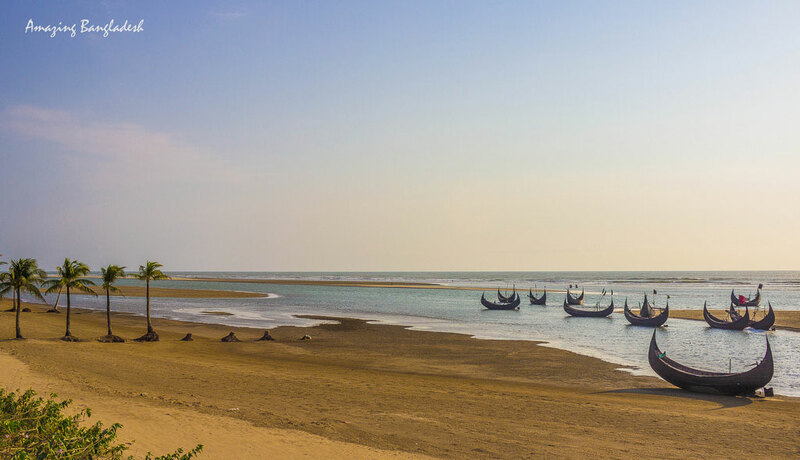 Miles of golden sands, towering cliffs, surfing waves, rare conch shells, colorful pagodas, Buddhist temples and tribes, delightful seafood--this is Cox's Bazar, the tourist capital of Bangladesh. 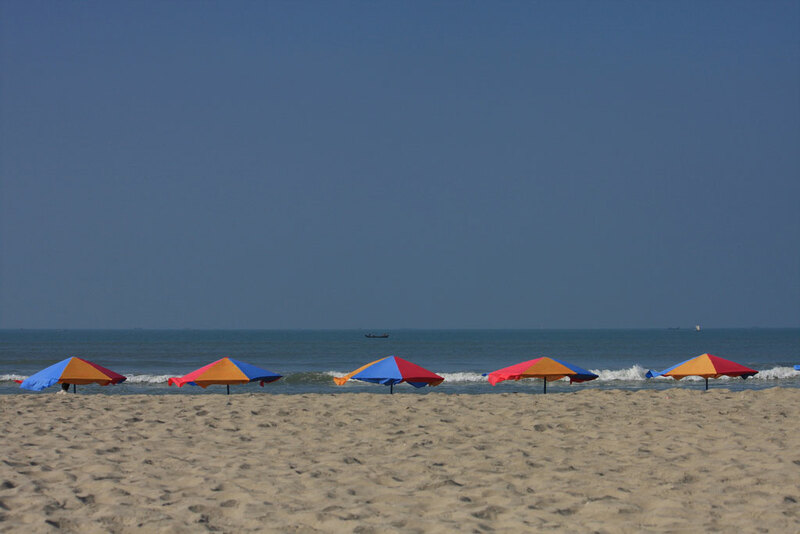 The warm shark free waters are good for bathing and swimming & while the sandy beaches offer opportunities for sun-bathing. The beauty of the setting-sun behind the waves of the sea is simply captivating. Locally made cigars and handloom products of the tribal Rakhyne families are good buys. 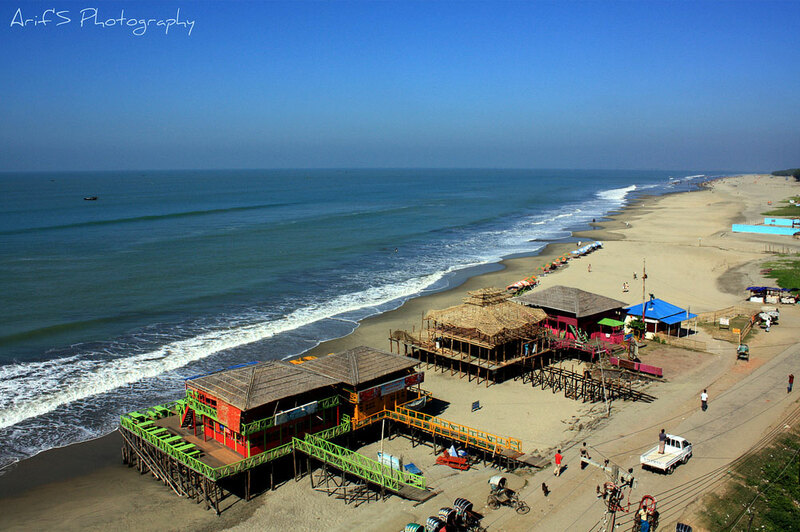 Every year lots of foreign & local tourist come here to spend their leisure in Cox's Bazaar. 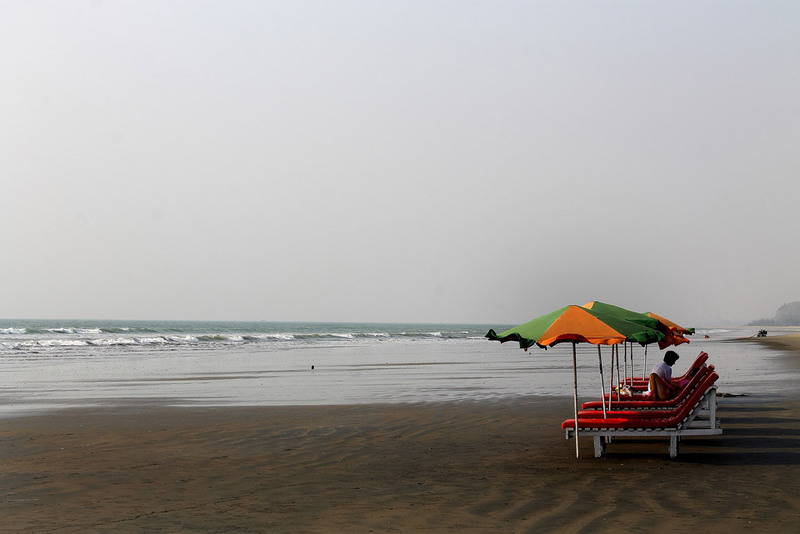 Though the season is in winter but Cox's Bazar sea beach is crowded almost through out the year. Especially in winter season, it is hard to get an accommodation in the hotels if booking is not made earlier. 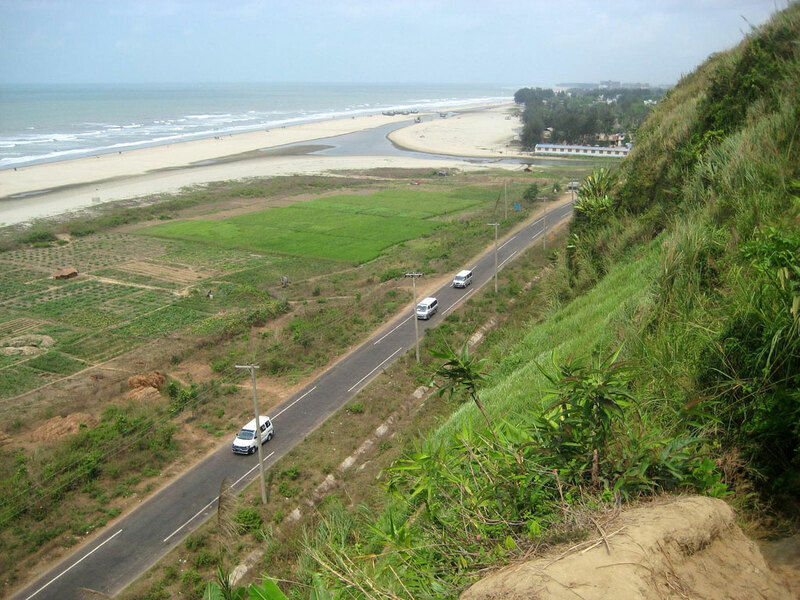 If you are really adventurous and want to enjoy the wildness and madness of the ruff and tuff Sea you can come to Cox's bazar in the month of mid April, Sea continue its wildness till August; and its even more exotic if you come to Cox's Bazar in the time of depression of the Sea. 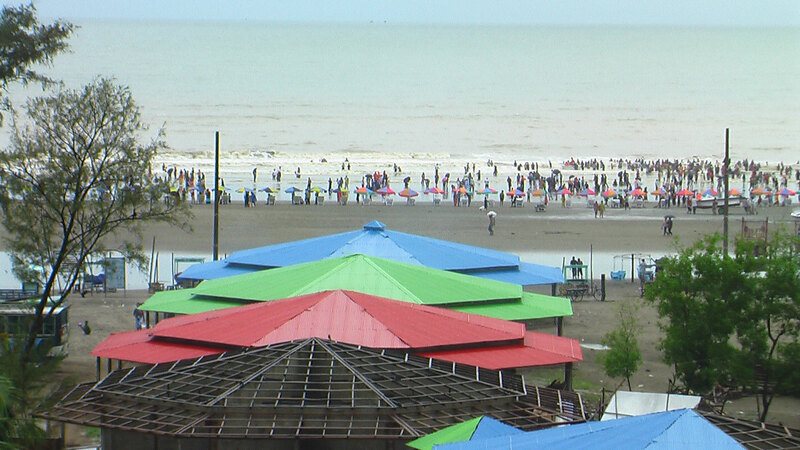 We have found 2 videos for Cox's Bazar from youtube.com.